Join the discussion on our forums! Come discuss Duel! over in our dedicated Duel! discussion topic. If you don’t fight to the death, it’s Duel Yielding. Why not use the Recruit keyword? 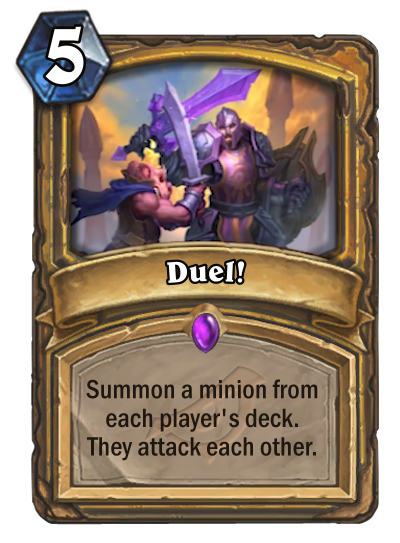 Combo disruption and... Big Paladin?